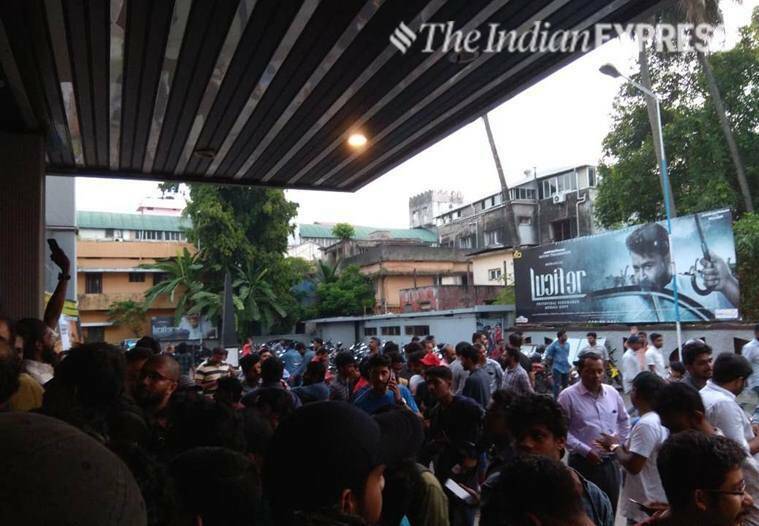 Here's what celebrities and fans said about Prithviraj directorial Lucifer, starring Mohanlal, Vivek Oberoi, Manju Warrier and Tovino Thomas among others. Lucifer movie review: Mohanlal and Prithviraj join hands for Lucifer. Prithviraj Sukumaran’s highly-anticipated directorial debut Lucifer has finally released in theaters. Starring Mohanlal in the lead role, the political drama also features Prithviraj, Vivek Oberoi, Manju Warrier, Tovino Thomas and Saikumar among others in pivotal roles. Mohanlal, who plays the role of Stephen Nedumpally in the film, had earlier said at a press meet that he agreed to be a part of the project after he was convinced about filmmaker-actor Prithviraj’s passion about movies. “This is my 40th year in the industry and I have done more than 350 films. Since I started understanding cinema better, I was able to identify people who love cinema. Even as I have not acted along with him, I have known Prithviraj since he was young. He is very passionate about films,” the megastar had said. Read all the updates about Mohanlal's Lucifer. Read the updates in Malayalam. 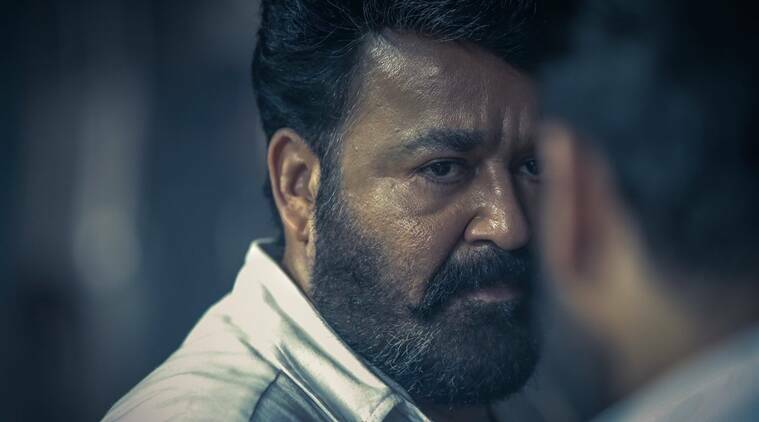 At a press conference held recently in Dubai, Malayalam superstar Mohanlal said he agreed to do Lucifer under the direction of Prithviraj as he was able to see how passionate the actor-director was about filmmaking. @arrarunkp wrote, "If You Give Your Dates To a Fan Boy, He'll Give You a Kolamass Movie. #Lucifer @PrithviOfficial 🙏🙏🙏." @RkoviperRasigan tweeted, "Watched #Lucifer It is a mix of mass and class.lalettan screen presence direction and dop stands out👍 tovino stage speech👌.script is not strong and dragging in many parts👎..overall a good movie and directional debut for @PrithviOfficial✌..dont expect a pulimurugan type mass." "#LuciferMovie Review: Complete #Lalettan Show Crafted By @PrithviOfficial🙏. Treat For Mass Movie Lovers 🔥. Good First Half , Followed By An Above Average Sexond Half With An Ok Climax & Superb Tail End 👌. #Lucifer Is A Winner & Congrats @PrithviOfficial ✌," tweeted Forum Reelz." Sridevi Sreedhar tweeted, "Good reports from audiences in Kerala about #Lucifer chk out @Mohanlal with wife #Suchitra @PrithviOfficial @ttovino and friends at FDFS." @Shanu_Babu tweeted, "Malayalam Cinema is redefined. Take a bow @Mohanlal lalettan @PrithviOfficial #Lucifer #LuciferMovie." "#Lucifer Something beyond words❤🔥🔥🔥Lalettan the rockstar😍😍," tweeted @Refugee2018. 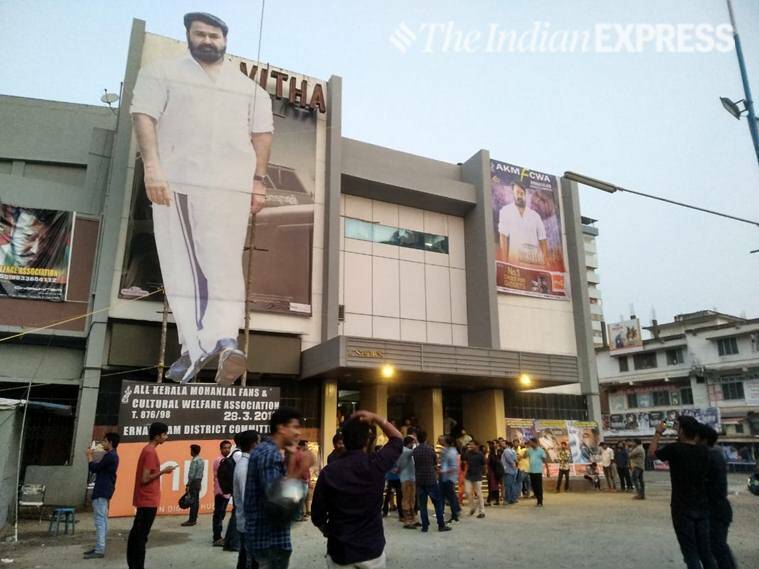 Sreedhar Pillai tweeted, "#Lucifer @Mohanlal is said to be rocking, fab reports and a humongous opening in Kerala." @Arun_kuttu_0712 tweeted, "#Lucifer is in and out lalettan show! Cliche storyline but Prithvi's impeccable direction skills gives us an extraordinary mass avatar of Mohanlal! Each scene of lalettan was a goosebump moment! Well done @PrithviOfficial Industry hit loading.. 🔥#Lucifer #Mohanlal." Dulquer Salmaan took to Twitter to post, "Wishing you and team #Lucifer all the very best ! Everything about the film looks epic ! @ThalaivarRises wrote, "#lucifer Kidilan film. It's been years since we've since a large scale entertainer like this in Malayalam cinema, years more since we've seen one pulled off this well. Skillfully mounted by @PrithviOfficial , skillfully written by @muraligopy , and a masterclass by @Mohanlal." @letalonehappy tweeted, "#lucifer so far an energetic thriller. Prithvi did a great job. Thilling and gripping story. Won’t be a failure like odiyan. Class movie." Vivek Ranjit wrote on his Twitter account, "#Lucifer opens worldwide tomorrow. Biggest film of my career so far. All the best to @Mohanlal Sir, Manju Chechi, Indrettan, @ttovino, the awesome captain of the ship, @PrithviOfficial and the entire team! Honoured & privileged to be a small part by subtitling the film!" "Blockbuster reports coming in for @Mohanlal - @PrithviOfficial #Lucifer from Kerala. Film releasing only tomorrow in Chennai...," tweeted Rajasekar. "Blockbuster reports for #Lucifer from Qube source.Old wine in new bottle with right mix of politics and masala where @PrithviOfficial has played his fanboy cards very well.Hope the words are true," tweeted @urstrulyadhil. @ashikalpha tweeted, "#LUCIFER pakka mass entertainer. Lots of Goosebumbs moments." He also wrote, "@PrithviOfficial janangalude manassarinjedutha film. Excellent debut. @Mohanlal mass like we always wanted. #LUCIFER"
Forum Keralam shared a review of Lucifer and wrote, "#Lucifer: Is a Treat for @Mohanlal fans as @PrithviOfficial plays his cards well keeping them in mind👍Watchable for other's who might not get that level of excitement due to some writing issues. Detailed review on the way." Trade guru Ramesh Bala shared on his Twitter account, "#LuciferMovie / #Lucifer is getting industry hit level talks from #Kerala morning shows.."
Vishnu Thej Putta tweeted, "When a fine actor gets into the shoes of a director the result will just be spellbinding. @PrithviOfficial. Even my experience and age is not enough to talk about such a complete actor @Mohanlal. Thoroughly mesmerized with #Lucifer @muraligopy @Poffactio @ttovino @vivekoberoi." Prithviraj recently shared a picture of his character from Lucifer. Although other details of Zayed Masood haven’t been revealed yet, this will definitely add to the movie’s hype as Prithviraj’s role in the film comes as a complete surprise. 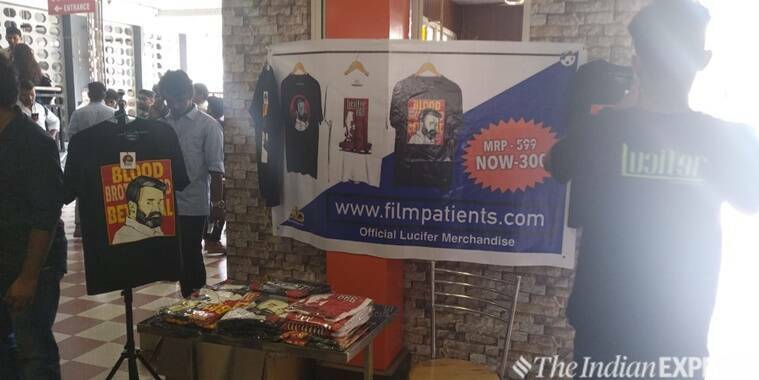 Lucifer merchandise is also available for Mohanlal fans at select theaters in Kerala. Prithviraj wife Supriya Menon Prithviraj shared on Instagram, "A three year journey is culminating tomorrow with the release of Lucifer. Starting from Antony’s visit on the sets of Tiyaan in Hyderabad where you shook hands and signed on Lucifer. I have seen the amount of effort you have put in; and cribbed about it too on many a day where you spent brain storming with Murali instead of taking a few days off and being with us. When on the sets of 9; you were busy working on your Lucifer script and shot breakdowns; I thought to myself what’s going on. Today as I hear from everyone on the cast and crew about the effort you put in and the vision that you brought to life in Lucifer; I couldn’t be prouder! You were always an actor when I met you; but this journey of yours into becoming a filmmaker is one that I witnessed personally. You are the most hardworking person I have ever met and I am sooo filled with gratitude to God and our well wishers for helping you power on thru the tough days and sleepless nights. Tomorrow when the world including me gets to see Lucifer on screen; I thank all of those who helped make this vision a reality; Antony Perumbavoor for backing it and Mohanlal Sir for bringing Lucifer to life in Stephen Nedumbally, the entire crew and cast but especially VaVa; your chief Associate who was your shadow for the last one year. Prithvi; Whatever happens tomorrow; I do know that you gave it your 1000 percent and that no matter what your passion for cinema and raising its benchmark will be recognised. Good luck director sir and I can’t wait for the film tomorrow. #Lucifer#ProudWife#PrithvirajSukumaran#JustAFewHoursMore"
Becoming a director was Prithviraj’s long-nurtured dream. And in order to make his dream a success, he has put together an impressive star cast. The actor-director earlier said that he approached seasoned actors for even minor characters. The star cast includes 27 A-listers, including himself. He will be seen in a cameo appearance as Zayed Masood. While Forum Keralam tweeted, "#Lucifer Interval: Intriguing 1st half with right mix of mass scenes and Mohanlal being stand outs👏Narration is a bit slow though. Waiting for 2nd half," @Shahins65531235 wrote on Twitter, "#LUCIFER. First half. Mind blowing first half with good narration😈. Terrific Bgm mainly for the fight scene. Stephan nedumbally swag for first half. Mass scenes😈😱. Waiting for second half. @Mohanlal @PrithviOfficial @muraligopy @themanjuwarrier @ttovino @vivekoberoi"
It will be interesting to see what Prithviraj has managed to achieve with Mohanlal’s talent. Because Mohanlal is not just a good actor, he is also one of the biggest superstars of the country. And Prithviraj is an ambitious actor-filmmaker. So, we expect the actor-director combo to deliver on the big promises that were made before the release. In the last four decades, Mohanlal has given many amazing performances. Even in films that were bad, he has managed to deliver memorable performances. He is natural and effortless. And we don’t think Lucifer would be an exception to this thumb rule. We trust in Mohanlal’s acting prowess. Over the years, we have seen Prithviraj evolve as an actor. He has also displayed his ambition as a producer by making big-ticket films. And now he is coming before us as a director. If the trailer is anything to go by, he has done a solid job in making a good looking film. The big question is does the film have enough substance to keep the audience invested in the story. While Lucifer has hit screens across Kerala and UAE, the Mohanlal starrer will release in Bangalore and Chennai on Friday. Prithviraj Sukumaran tweeted, "This is for you Achan. I know you’re watching! #Lucifer From today." 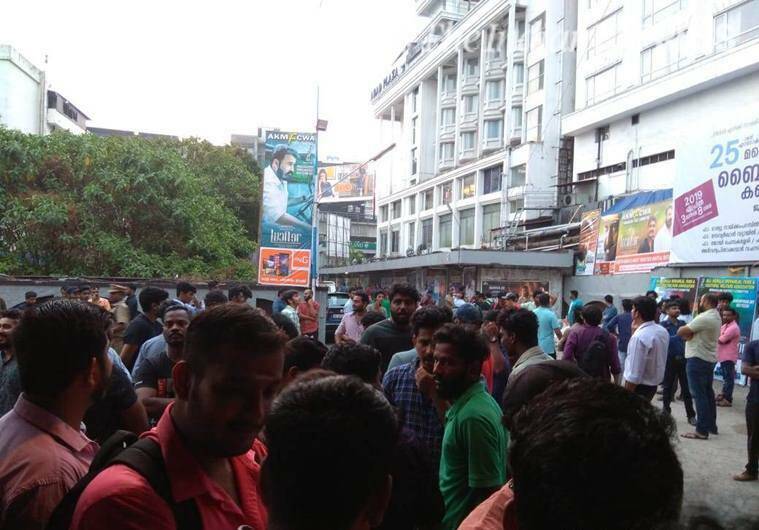 Mohanlal fans are making a beeline for theaters in Kerala. 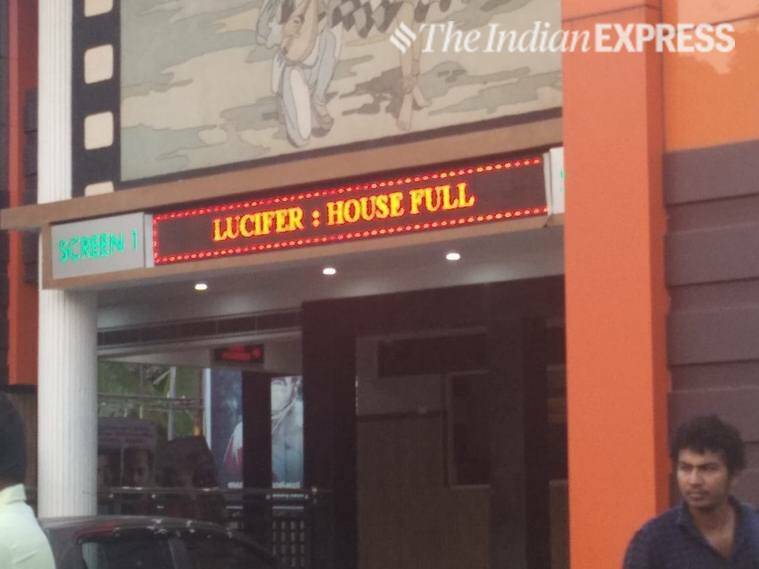 Morning shows of Lucifer in some cinema halls are housefull. Political biopics have been the flavour of the season, thanks to the forthcoming elections. Unlike other films, we have seen so far this year, Lucifer doesn’t seem to have a political agenda to drive home. The only agenda that the film aspires to achieve is to entertain the public. Set in the backdrop of ruthless politics, Lucifer is the story of redemption filled with betrayal, heartbreaks, action, style and a lot of slow-motion shots. The filmmakers have, reportedly, released Mohanlal's Lucifer on more than 3000 screens worldwide. The wait is over. Malayalam superstar Mohanlal’s Lucifer, which is one of the most-awaited films of 2019, has hit screens worldwide today. The film managed to capture the imagination of the audience since it was announced in 2016, thanks to its sheer star-power. Vivek Oberoi, who is gearing up for the release of his upcoming movie PM Narendra Modi, plays an antagonist in Lucifer. Commending his work in the movie, Prithviraj said, "Frankly, even when I cast Vivek in the role, I had my doubts. But, to his credit, he stood up to Mohanlal’s legend." Lucifer marks Vivek's debut in Mollywood. Tovino Thomas plays a small part in the film but captured hearts with his attitude in the trailer of the movie. Shedding light on his role, the actor said, "I play a role called Jathin Ramdas. I believe that my role has a big significance in the film even though it is a small one." Lucifer has been produced by Antony Perumbavoor with a script by Murali Gopy.